Enjoy a culinary learning experience with the Hearth & Candle chefs! The fun starts when you tie your apron on! The renowned Hearth & Candle restaurant at Smugglers' Notch Resort is now offering a special experience - cooking classes hosted by the restaurant's New England Culinary Institute-trained chefs! With a maximum of six students in each class, the learning experience is intimate and hands-on in the Hearth's kitchens; you'll gain the skills and confidence to prepare your own culinary delights. Everything you need will be provided for you - just arrive ready to participate! At the end of the class, savor your freshly made creations as you enjoy a special lunch with your chef. You'll receive copies of the recipes you prepare in class and a tip sheet to bring home. 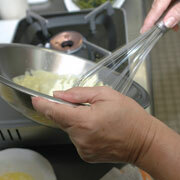 Fresh pastas & sauces: Learn how to prepare fresh pasta dough for fettuccine, raviolis and tortellini's. 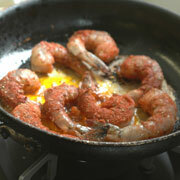 You'll also learn how to create fillings and sauces to accompany pastas. In addition to a basic dough recipe, you'll create a basil pesto, a hearty Bolognese sauce, and ricotta ravioli filling. Thursday, 10:30 am - 1:30 pm. $90 per person. During your cooking sessions the chef will also share tips on knife skills, safety and sanitization, and how to "plate" or set up an eye-pleasing presentation of each dish. 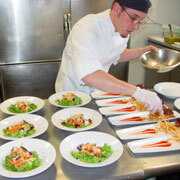 "We really enjoyed the cooking classes! They are great fun. My wife and I took two together and I took a third by myself. We worked hard, but learned some great tips and tricks." To read more about the Hearth & Candle, please click here.